Boeny Office Régional du Tourisme de Majunga (c.2005). A town plan of Majunga with a regional map on the reverse. It was produced by the regional tourist office and funded by the advertising of thirty local hotels, restaurants, and tour operators. 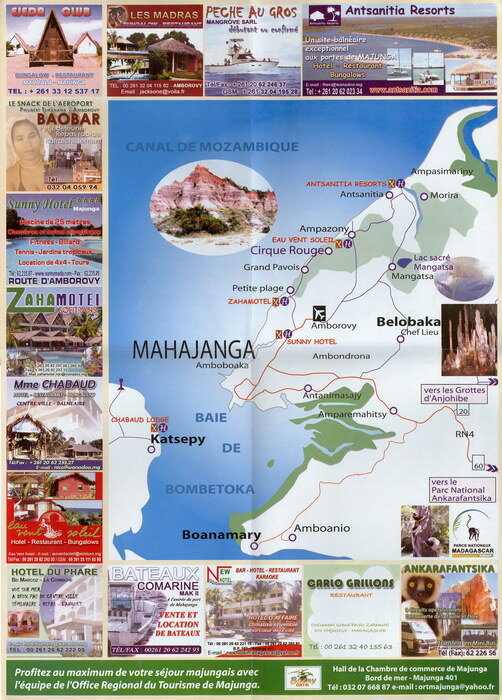 Profitez au maximum de votre séjour majungais avec l'équipe de l'Office Régional du Tourisme de Majunga. 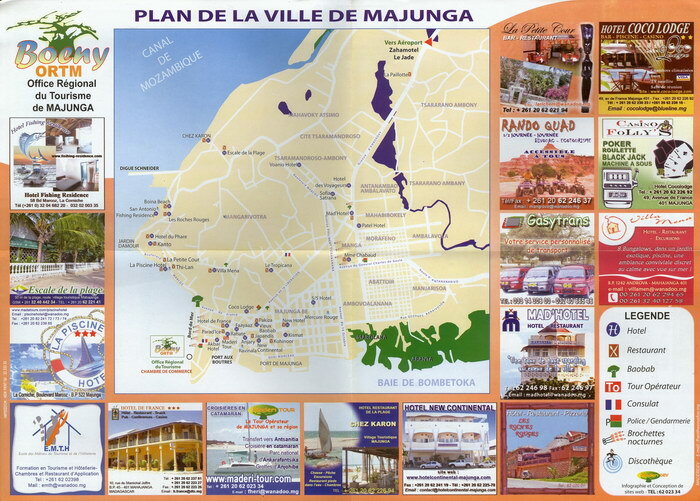 Make the most of your stay in Majunga with the team from the Regional Tourism Office. Very Good. It has been folded into four.